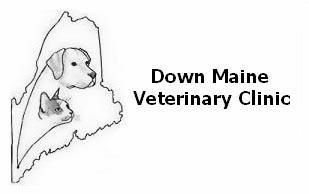 Even though the ground in Southern Maine is now covered with two-plus feet of snow after yesterday's "Snowpacolypse", it is never too early to think about flea, tick and internal parasite prevention for our pets. We at the DMVC recommend year-round parasite control and like to remind our clients that parasites are hardy. Cold weather and snow is no guarantee of protection against parasites. Bravecto by Merck is our newest offering and one we are quite excited about!. It is approved for dogs and is a chewable tablet that kills fleas and ticks for 3 months! One way to remember giving it is to either give it at the start of every season (March 21st, June 21st, Sept 21st and Dec 21st) or, if you own a smartphone, simply program it to remind you when your dog is due. If purchased before the end of March, Merck will rebate back to you $15 if a 6-month supply is purchased (two tablets) and $35 if a 12-month supply is bought. It is perfect for dog owners who like to avoid the grease-spot left by topicals. NexGard is a chewable tablet that kils fleas and ticks for one month and also allows you to avoid the "grease-spot" on your dog. It is made by Merial, the same company that makes Heartgard-plus so naturally they have a good deal if you purchase both products together.Fifty dollars will be rebated-back to you if you buy a years supply of Heartgard and 6 months of Nexgard if purchased before the end of March 2015. Clients who have purchased NexGard have commented on the ease of giving it as well as the pleasure of being able to give two treats every month! (Heartgard and NexGard). Vectra 3D is a topical for dogs that repels and kills fleas, ticks, and mosquitoes for one month. Though it does have the disadvantage of leaving a grease-spot, it has the distinct advantage of also being a repellent. This is good if you want to decrease the likelihood of ever seeing ticks on your pet. If you buy a three month supply, Ceva will mail you a 4th dose at no charge and 3 free doses if you purchase a 6-month supply. Revolution is a topical for both dogs and cats. It is effective for fleas, hookworms, roundworms as well as ear mites and it has the advantage of also being a heartworm preventative. It is our favorite product to recommend for cats that go outside because of the broad-spectrum of protection it provides. It is not an optimal product for tick-control however. This acceptable (but not ideal) for cats, as they seem to be more resistant to tick born disease when compared to dogs. Many dog owners like Revolution because of the added cost-effective heartworm protection. If you use it for your dog, Zoetis co. will provide a free Scalibor collar for added tick protection if you purchase a 6-month supply. Two free doses are available if a 6 month supply is purchased, three if a 9-month supply is bought. Frontline Tritak for cats is our offering for cats who are exposed to ticks. It is a topical and is effective for one month. If you download a coupon, you can get two free doses if a 6 month supply is purchased.